Until and unless you have been living under a rock, you already know that the one-stop solution to all your beauty and health woes is – olive oil. Rich in several minerals, vitamins and fatty acids, olive oil can practically reform the way you look – from soothing wrinkles to healing cracked heals, from anti-ageing properties to acne scrubs – this miracle item can do it all. And you won’t believe the long, long, long list of uses olive oil for your face can have! The list of usages of olive oil benefits is long, but I’ll stick to the practical and affordable ones when it comes to beauty. So shall we begin? It doesn’t matter whether you’re shaving your face, hands, legs or practically any part of the body – you can easily substitute your shaving cream with olive oil. This natural lubricant not only reduces your chances of having razor burns, but also ends up giving you hydrated and silky smooth skin at the end of your shaving session! The older we grow, the more out skin loses its elasticity. 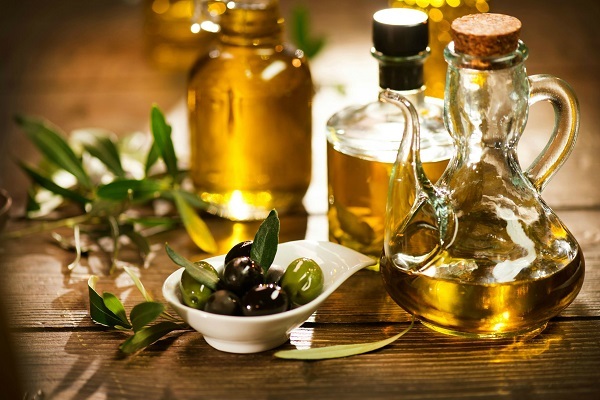 Loss of collagen too contributes to the formation of wrinkles on your skin, which is exactly where olive oil comes in. Regular application of this oil on your face or other parts of the body can, over time, slow down your skin’s ageing process considerably. Apply it at least twice a day – once in the morning and once before going to sleep. Olive oil is one of those rare naturally occurring oils which can safely be used by people of all skin types and ages. So if you have rashes on your skin or your baby has diaper rash, all it takes is a little dab of olive oil to your skin to tone down the itching. People of all skin types can create homemade scrubs with olive oil. Simply add oil and sea salt in equal proportions, and use this mixture to massage your face gently. Not only does it help get rid of dead skin, but also instantly rejuvenates your skin. Bear in mind that when using olive oil for face exfoliation, those with dry and/or sensitive skin should use sugar instead of sea salt. Once you’re done with your bath, tap your body dry with a towel. Immediately after that, apply a little bit of olive oil to your face, massaging it gently. Let your towel absorb any excess oil, and that’s it! Your skin will be left feeling amazingly smooth and silky, like a baby’s bottom. Needless to say, you can apply the oil all over your body as well. All women know the pain of getting their eyebrows or upper lips threaded. However, what very few of them know is how olive oil for face can very easily lessen that pain easily by 50%. How? 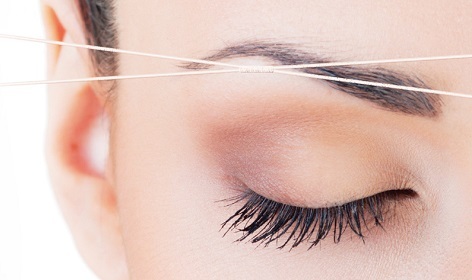 All you have to do is that 5 minutes before your threading session, dab a tiny drop of olive oil on your upper lips or eyebrows and the surrounding areas, rubbing it gently till your skin absorbs it. After that, get your threading done as you normally would. Ensure that you don’t apply too much olive oil, otherwise threading on such slippery skin would become impossible. Got dark circles under your eyes that simply no amount of sleep or expensive creams can get rid of them? Then give olive oil a try! With ingredients like phytosterols and vitamin E in it, this oil is literally one of the best and most affordable dark circle treatments out there. All you have to do is to use your ring finger to dab the oil gently around you eye area. Repeat this process 2-3 times daily and you’ll start seeing a difference within just a couple of weeks. Not to mention that it will simultaneously work on under eye wrinkles and fine lines as well! 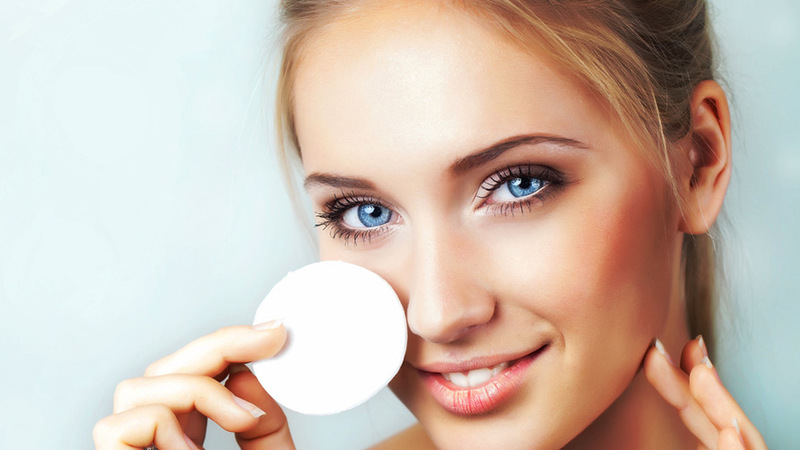 Ditch those expensive makeup removers that are full of chemicals! Instead, opt for olive oil! It makes for an excellent makeup remover, especially for those with normal-dry-sensitive skin. Literally all you have to do is to dab a few drops on a cotton pad, and remove makeup as you would normally remove it. And yes, it even works on waterproof lipsticks and mascara as well. For those with oily-combination skin, it’s best to use a combination of olive oil and aloe vera gel in a 1:2 ratio. Otherwise, you will end up with an unnecessarily oily face, which you will be forced to wash with a face wash.